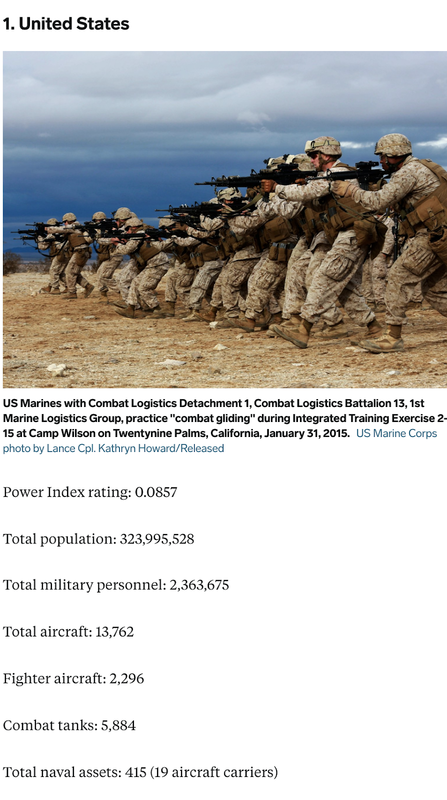 Why Isn’t The U.S. Keeping Up Militarily? 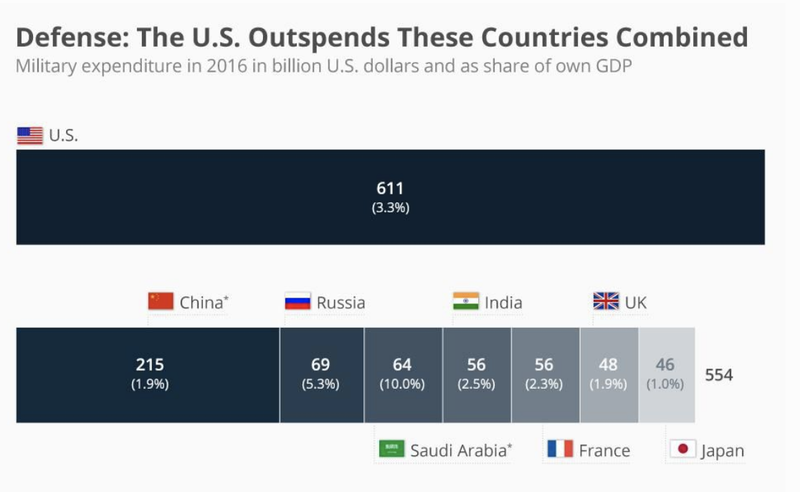 So the question is why are we spending so much more than everybody else, is the United States getting its money’s worth, and most importantly are we able to defend ourselves? Russia ($69B) China ($146B), North Korea ($6B), and Iran’s ($16B) military spending in total pales in comparison at just $237B. – Our stationary land-based nuclear missiles are no match for Russia and China’s mobile-based ICBMs. – Our ten busiest U.S. ports do not have an adequate defense against an underwater nuclear missile launch. In fact, it was just reported that China conducted its 8th hypersonic test of a plane–with this one said to capable of Mach 10–and that it is capable of carrying nukes! Further, our carrier group fleet and land forces are at risk with respect to Russia and China’s hypersonic weapons. Let’s not even talk bioweapons–think Black Plague from the Middle Ages that wiped out 30-60% of Europe. 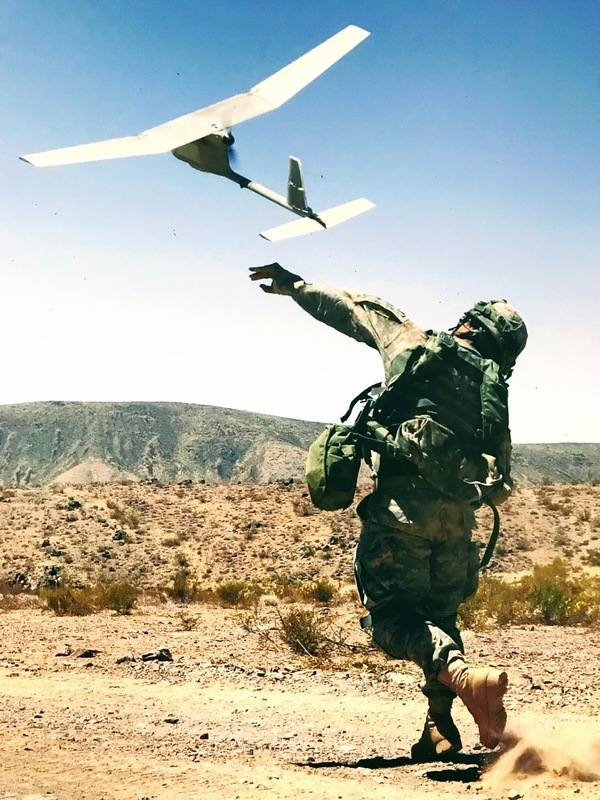 From vulnerable fleets of large ships and planes to “unstoppable” swarms of miniaturized lethal drones. From having to generally choose between speed or power to using the power of speed as an “unstoppable” force of nature. From attempting to defend limited points of presence to establishing a “impenetrable” umbrella shield of multi-layered defenses. From knee-jerk instinctive putting of human lives in harm’s way to matter-of-factly sending milbots (military robots) to the front lines. From relying on the heroics and genius of individual human brainpower to harnessing in realtime “the collective” augmented by artificial intelligence into a hive. From relying on escalation of a “bigger, badder gun” to being able to fight capably in every battle arena, win in each and dominate holistically. This entry was posted in Artificial Intelligence, Biowarfare, Collective, Cyberwar, Defense, Directed Energy Weapons, DoD, Dominance, Hive, Hunting, Military, Mobile, Nukes, Persistence, Photo, Power, Quantum Computing, Robots, Space, Speed, Strategy, Swarm, Transformation, Umbrella, Uncategorized. Bookmark the permalink.